Make sure that your first dance together will be a beautiful memory that you will cherish forever! The first wedding dance is one of the most memorable and romantic moments of your wedding. 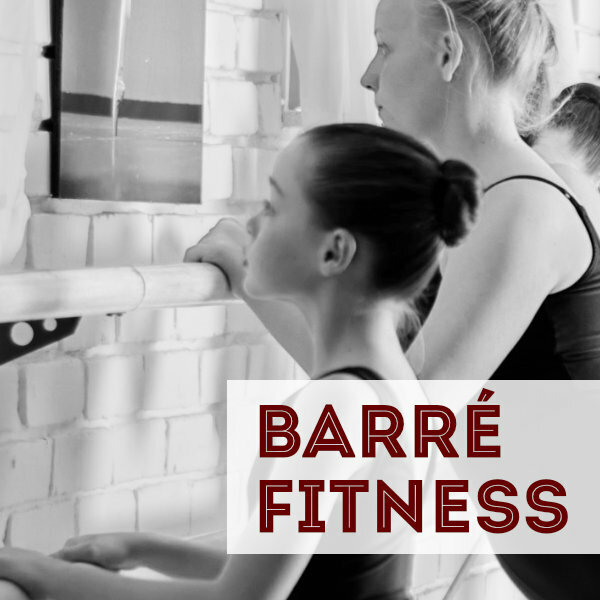 Our instructors will create a custom choreographed routine, incorporating your special song. Whether it is your First Dance, Father-Daughter Dance, or Mother-Son Dance, we can help you make it an unforgettable experience that you and all your guests will remember and will look great on your wedding video! We offer several wedding dance packages or you have the option of creating your own Leesburg dance program. We will take into account your experience and the complexity of the type of dance you want to perform to make that first dance a memorable one. Try Anastassia Ballroom and Dance, where your first dance lesson is always free. 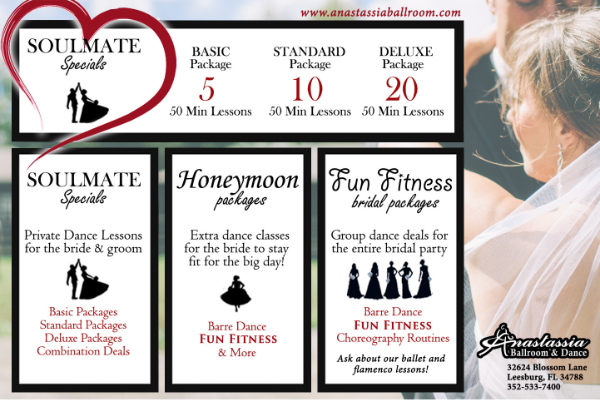 Get in shape for your wedding with our Ballroom Fitness Fun Combination Program of Barre & Latin Fusion Flamenco dancing classes. These dance lessons offer amazing techniques to shape up your entire bridal party! Register as a group today and tone up for the big day! Keep in mind that as the wedding day gets closer, the schedule tends to get more hectic as you are making sure that everything goes according to plan. Although we can tailor wedding dance patterns to fit your needs for that special first dance even a week before the wedding, we recommend that you start your dance lessons at least three months prior to the big day to allow more time for practice, especially if you are a newcomer to dancing. Joining our Leesburg ballroom dance events can help! Is all the planning making you feel stressed? Remember, dance lessons can be a stress reliever! Besides being fun, ballroom dancing is a great form of exercise. Dance lessons will give you a productive break from all the hustle and bustle of the day. You can spend an hour or so with your fiancé, having fun while preparing for your big day at the same time. Schedule Your Wedding Dance Lessons With Us! Your instructor will determine your strengths, your skills, your dance style interests and evaluate how many lessons it will take to choreograph your dance to your chosen song. We can add lifts, spins and fancy footwork moves to wow your guests. We strongly recommend our wedding couples choose a variety of both group and private lessons to feel comfortable and confident for the big day. Private lessons are recommended to develop the best choreography for your chosen song(s) while group dance lessons provide a fun atmosphere. Practicing around a group of other social dancers can be inspiring and help boost confidence for beginner ballroom couples. Many couples find dancing very cathartic and it's a great way to relax from all the stressful wedding planning. Need dance entertainment for the your wedding events? Treat your guests to a dance show or engage your family on the dance floor with performances by our professional ballroom dance couple.